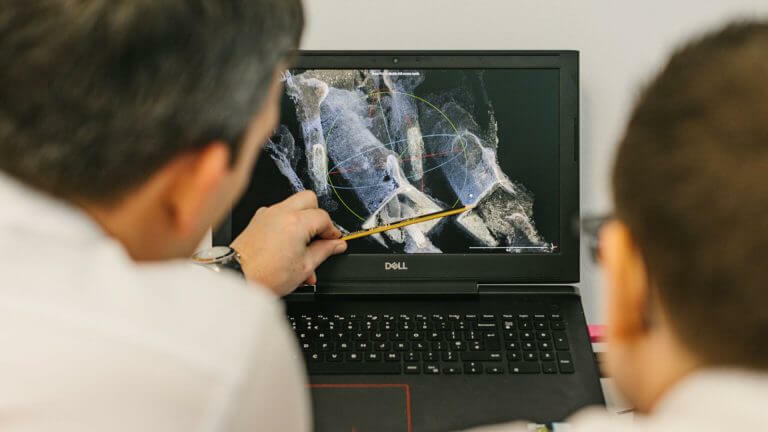 An Aberdeenshire technology start-up company has produced 3d scan data for a major North Sea Operator saving them 50% of the usual cost. Viewport 3, based in Ellon were contracted to work in collaboration with N-Sea on a project, to carry out subsea scanning of multiple locations at a North Sea based Semi-Submersible in order to collect 3d data to enable cofferdam design and construction. Typically, divers would provide this data, however the Photogrammetry technique utilized by Viewport 3 provides data accurate to less than a millimetre and is far quicker. On this project the data was collected in 8 days rather than a more typical 20 days. The longest capture session at one site was just 2 hours and 30 minutes. Onboard review of pointcloud data enabled early analysis and confirmation the site was fully captured. The technique uses ROV mounted digital cameras to obtain point cloud scans, eliminating the need for additional hardware, logistics and bed space which all provides cost savings. Richard Drennan, Director and Co-Founder of Viewport3 said: “We helped to deliver a dense dataset, accurate to less than a millimetre, which was beyond the stated requirement. “N-Sea’s world-class approach to problem solving was the perfect platform for our technology. “As an innovative and forward-thinking company, we are always looking for ways to develop our expertise and assets to offer the best possible service to our clients. Utilising Viewport 3’s subsea scanning expertise during this project has been hugely beneficial for our team. Viewport3 was established in 2017 when Director’s Richard Drennan and Chris Harvey met while on the Elevator Business Programme and decided to form a partnership, combining their skillsets and vision.